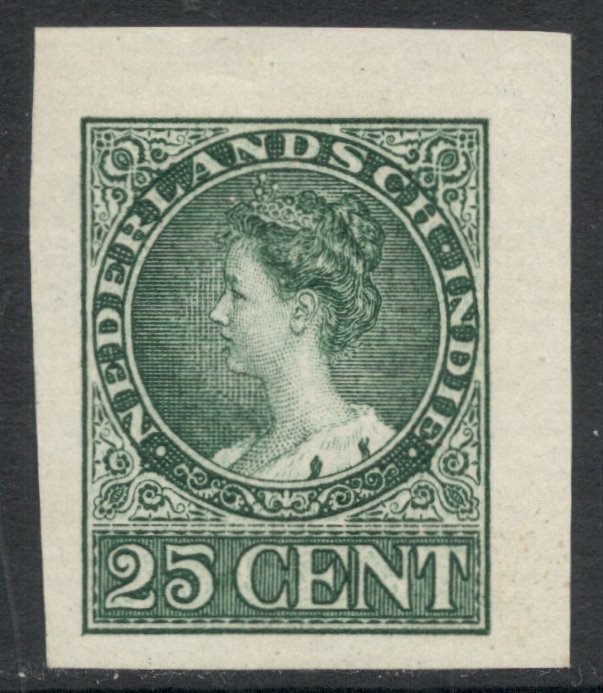 I just thought they would be proof printings by Enschedé. So how wrong could I be?! Very, as it turned out! 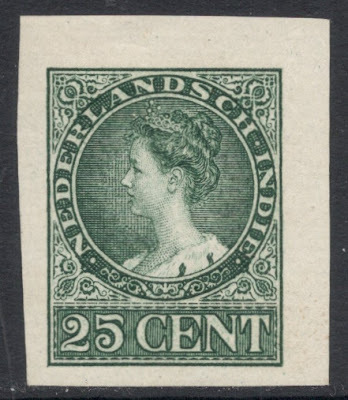 For as soon as I mentioned these 'facts' on my previous blog, I got a comment from a reader saying that these were actually proofs made by the printers Kolff & Co in Batavia in the Dutch Indies. 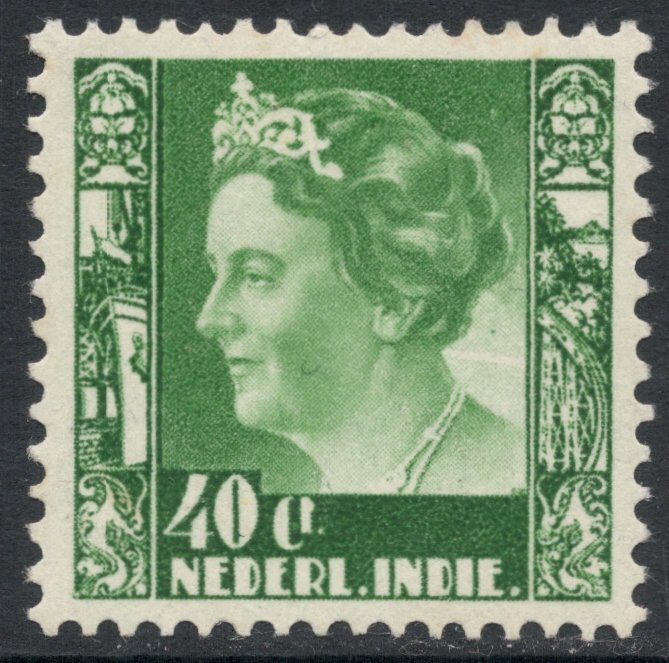 Okay, slight readjustment, new thinking process, and new conclusion: Kolff started printing stamps in the early 1940s when supplies from occupied Holland ran dry. 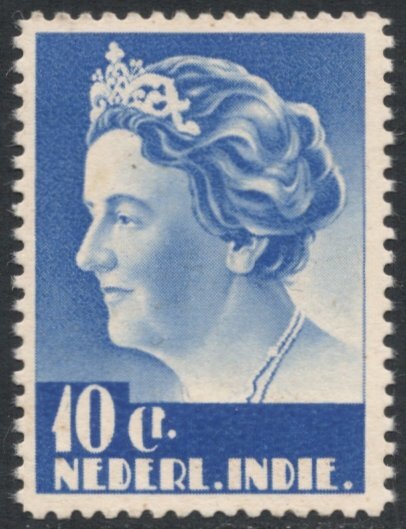 So these were probably proofs made in 1940 or 1941, which never progressed into proper stamps because a different design was chosen. 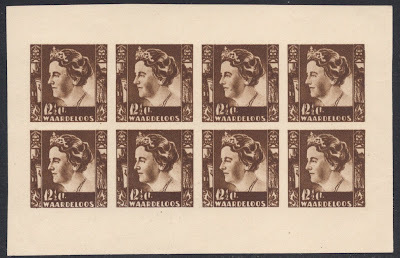 Would have been a nice variation on a theme though, to have had these Kreisler stamps without the side borders included in the design. Hmm, wrong again, as it now turns out! 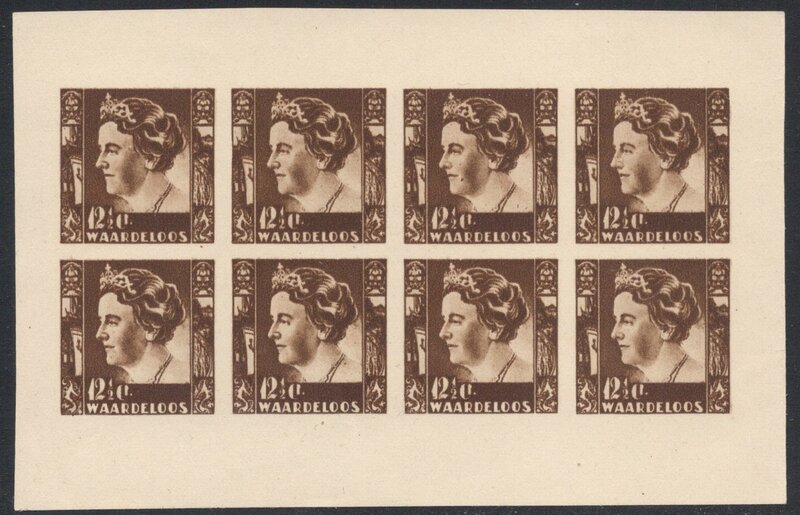 For only the other day I read a book by Giel Bessels on Kolff's stamp production. And in there it is stated that Kolff never planned to produce Kreisler stamps. 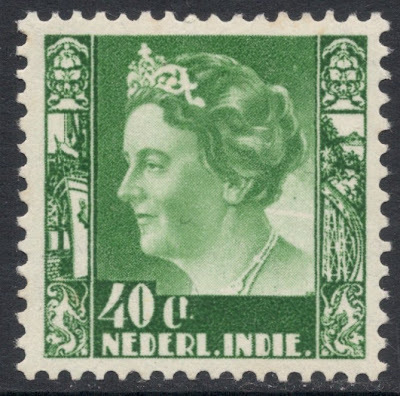 When the Dutch overseas territories had to take over the production of their own stamps from Enschedé, they decided on a common design for all the territories, and that was not the Kreisler design. No, these proof printings were made in the mid 1930s, when Kolff answered the call of independence which echoed throughout the Dutch Indies at the time. In order to prove the 'Powers That Be' that they had the skill and facilities to print stamps, these trial printings were made. 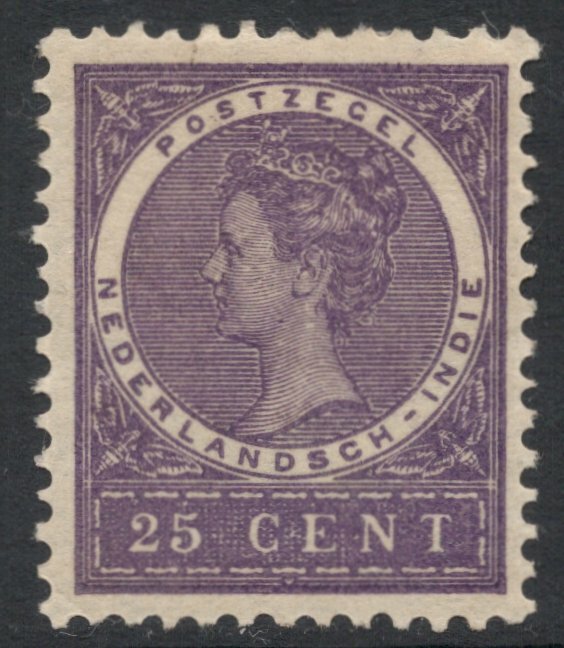 These proofs were supposed to be from 1908 and in those days there wasn't yet much of a call for stamp production in the Dutch Indies. So what was the story here then? 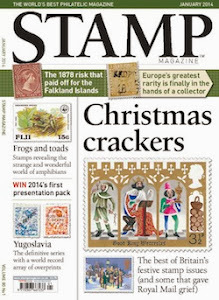 The book did mention the commemorative albums but not a word about these Veth proofs. So I contacted the author who told me that one of these albums (the one I had happened to see) had been taken apart in a time when it was thought that single proofs would sell better. When later the owner changed his mind and decided the album as a whole might be a better item to sell, he started to reassemble it, but through lack of knowledge added those Veth proofs. So these have nothing to do with Kolff whatsoever and are, as I originally assumed, Enschedé printings. Another piece of the jigsaw! 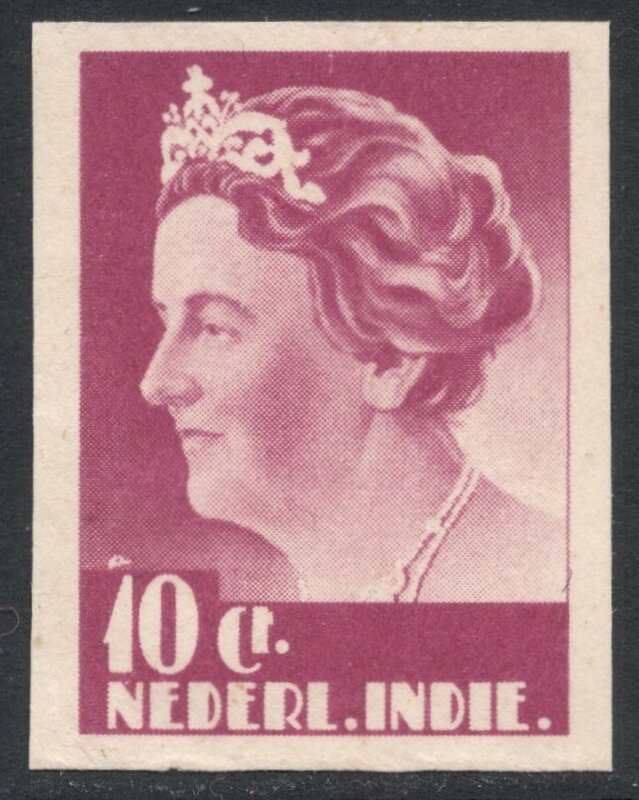 No, not by Kolff, but printed by another Dutch Indies printer: De Unie. I don't think I'll venture any more guesses, I'll just patiently wait for someone to come along and present me with the proper answer. You know where to find me! Impressive! Have a great day! Fascinating story and great detective work. Well done! may I know your email address ?